Corum, reputable Swiss watchmaker, founded in 1955 in La Chaux de Fonds, has always excelled with its striking and elegant designs, but is perhaps most famous for its flagship “Admiral’s Cup” line which has maritime pennants instead of numbers marking its colorful dials. 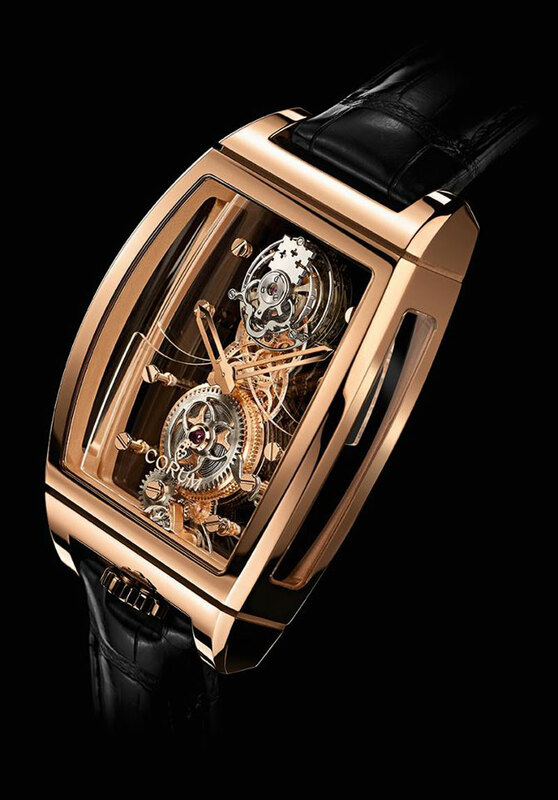 Now, the brand will certainly be remembered by exemplary piece of master craftsmanship – Golden Bridge Tourbillon Panoramique Watch. 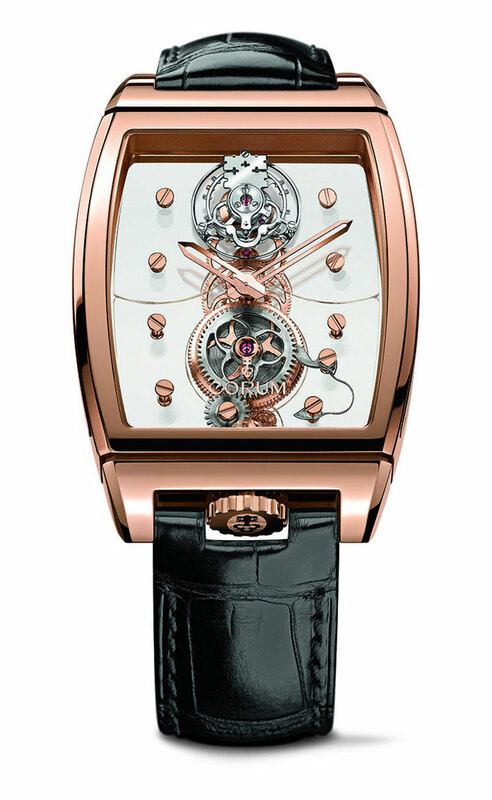 Inspired by legend where the farmer-watchmaker during the winter hiatus tried to convey the delicate perfection of snowflakes into making watches by creating wheels and gears, this new Golden Bridge Tourbillon Panoramique Watch features a revisited tonneau-shaped case, typical of the Corum Bridges collection and a so-called flying tourbillon, meaning with no upper fastening point, which gives the illusion of the weightless effect, it appears to be levitating above the movement. The hand-wound Caliber CO100 showcases mainplate and bridges are in sapphire and offers a transparent hand-polished framework providing 360° vision, like a panoramic snow-covered landscape. Thus the entire device, adorned with a finely engraved Corum key, is held to the sapphire mainplate by its base alone. The movement beats at 21,600 vibrations per hour (3 Hz), has a 90-hour power reserve and is water resistant to 30 meters. 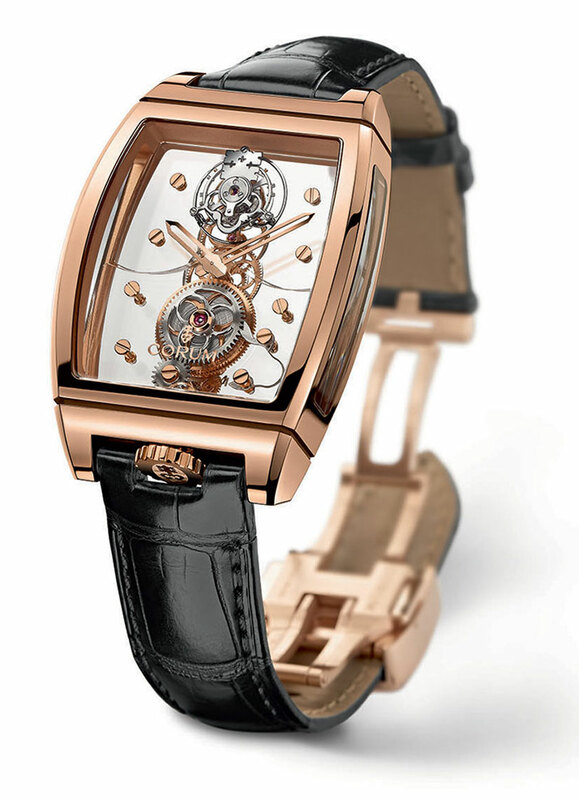 New Golden Bridge Tourbillon Panoramique Watch is available in three variants: ten with an 18K red gold case; five with a baguette-set 18K red gold case; and five with an 18K red gold case set with round diamonds. Each version is delivered with two hand-sewn crocodile leather straps – one black, the other brown – secured by an 18K red gold triple folding clasp engraved with the Corum logo. Featuring 360° visibility, the timepiece boasts an advanced hand-wound Manufacture Corum Caliber CO100, which is an openworked translucent movement equipped with a flying tourbillion that accentuates the weightless effect.